The Annual Club Tournament Finals took place on Sunday 31 March 2019. After some highly competitive matches in the Quarter- and Semi-Finals, Ian Moody beat John Rowe in the Gold/Silver medal match to regain the title he last won in 2016. Bradley Sawyer beat Alastair Putt in the Bronze medal match. 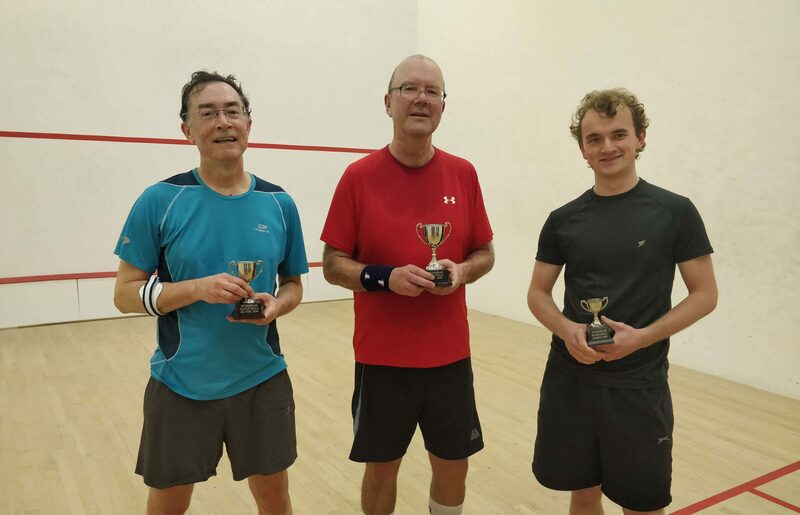 Finals Day also saw the retirement of David Roberts running the Racketball section – Pete Edwards (Chair of Squash section) presented him with some wine to thank him for all his work over many years.